We love it when our online community members share photos of unique playgrounds. What makes this one unique? Well, to visit it, you need a clearance from the United States Secret Service. Give up? 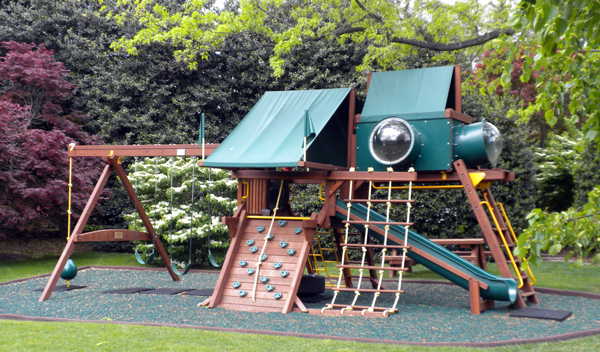 It’s the White House’s first playground, built in 2009 for Sasha and Malia and made from American redwood and cedar! Thanks to phutchins for sharing this photo. If you’re wondering what a playground weather station looks like, or if you can help out, visit and contribute to the discussion here. PLAYGROUND: The homeowners believe the area should have a playground for children to gather and play outside, developing and promoting healthy lifestyles. With the growing awareness of issues such as, childhood obesity and nature deficit disorder, we are passionate about creating an environment that will foster a greater desire for outdoor play in our neighborhood and adjacent community's children. CREATE AN URBAN FOREST: The common area receives stormwater flow from the entire neighborhood. 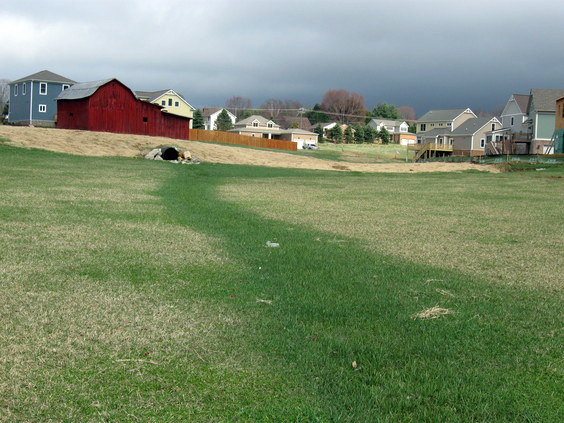 Stormwater not infiltrating into the ground leaves our neighborhood and flows into an adjacent neighborhood. The urban forest, with native plantings, would offer environmental services such as increasing stormwater infiltration on site; reducing volume of stormwater runoff; providing food in the form of edible fruit and nuts; and a learning opportunity for the neighborhood children. COMMUNITY GATHERING PLACE: A small portion of the area would be designated as a gathering place for residents to meet and host events. We’re considering incorporating an existing barn into the design, which would reuse materials. REDUCE OUR CARBON FOOTPRINT: Our final goal is to reduce our carbon footprint by minimizing use of gas-powered equipment; creating carbon sinks with vegetation; and creating large shaded areas to help with cooling the community." Learn more and join the project here!